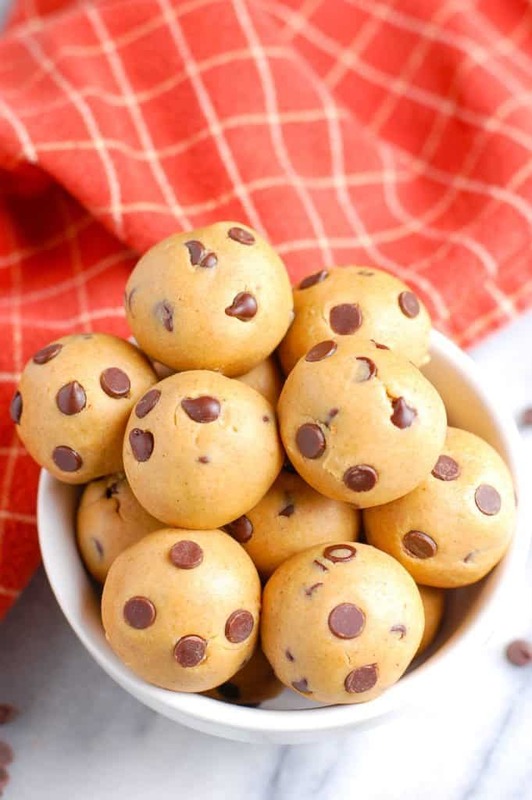 These Healthy Cookie Dough Balls are a healthy snack and take minutes to make. They are filled with nut butter, sweetened with honey, and only five ingredients total. If there’s one thing I know about myself, it’s that I need a snack in between lunch and dinner or else I will become hangry, and no one likes hangry Erin. 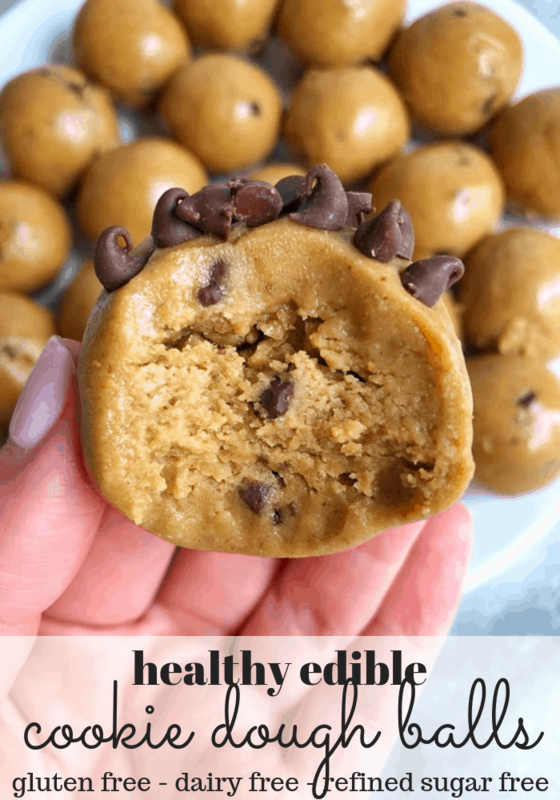 That’s where these healthy cookie dough balls step in and not only satisfy my mid afternoon hunger craving, but also my hankering for something sweet. I always wonder how people can make it from when they eat lunch at around noon until when they eat dinner at around six without any snacks in between, and I mean I typically am eating a filling lunch with carbs, protein, and fat, and while that keeps me full till about 3 or 3:30, I always start to hear my stomach rumble in the afternoon. When I worked in corporate America (I say that as if it was years ago..) I was the queen of afternoon snacking. I remember my colleagues always making fun of me because I would always have some form or homemade protein ball or granola bar in the afternoon, and then would pair it with an orange or a peach. Snacks are life. And so are these balls. They are filling. They fuel me through the remainder of the day. They taste good alone or paired with something else. So many pre-packaged grab and go options are filled with gross ingredients and packed with sugar, so that’s why I always prefer homemade. 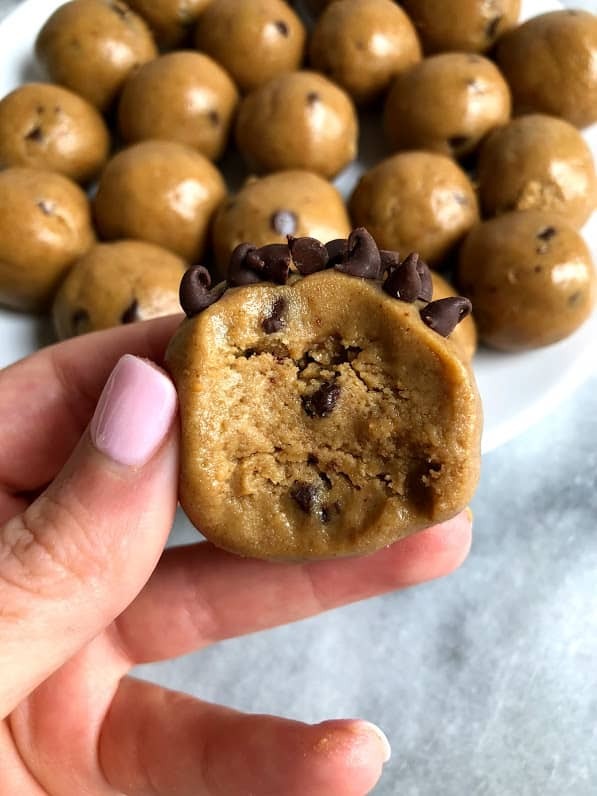 I want to be able to control what goes in them and while that isn’t always the case and there are tons of brands of snack bars and bites that I absolutely love (RxBars, Emmys Cookies, Larabar), I really prefer to make everything homemade. Plus they are super simple to make and you can make them ahead of time to have for the entire week. It’s a win-win. 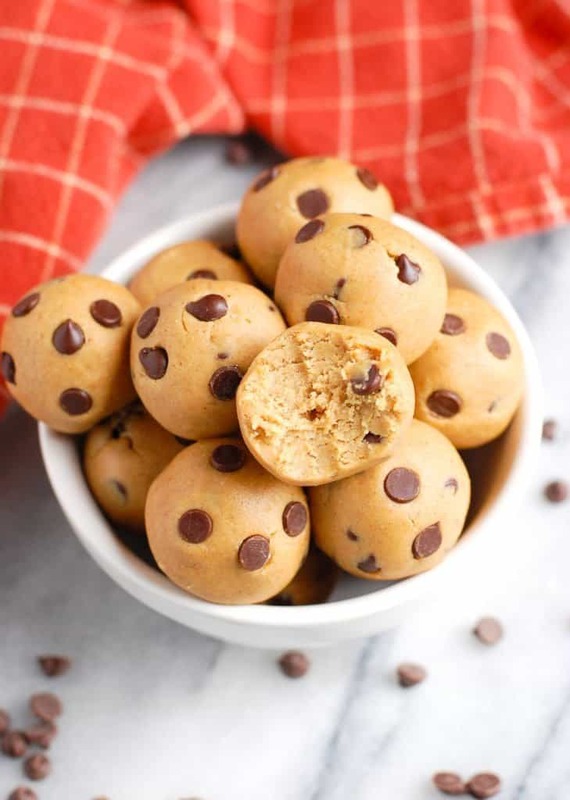 This recipe for healthy cookie dough balls only calls for five basic ingredients. If you don’t have oat flour (which you can buy at any grocery store and it is wicked cheap), you can make your own by pulsing rolled oats in a food processor or Vitamix until completely fine and flour-like consistency. 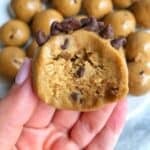 For the nut butter, I prefer using peanut butter because I am obsessed with all things peanut butter flavored, but you can easily use any other type of nut butter. Cashew butter works great, almond butter will work great, even sunflower butter will work too! 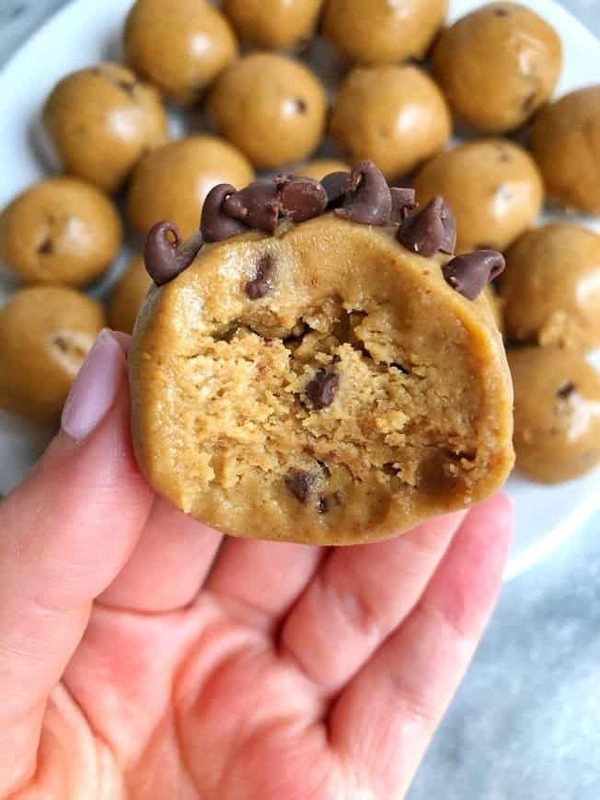 All you need is one bowl, about five minutes, and some refrigeration time and you’ve got yourself the best little healthy cookie dough balls ever. Roll into balls and store in fridge for up to one week or freezer for 2 months. 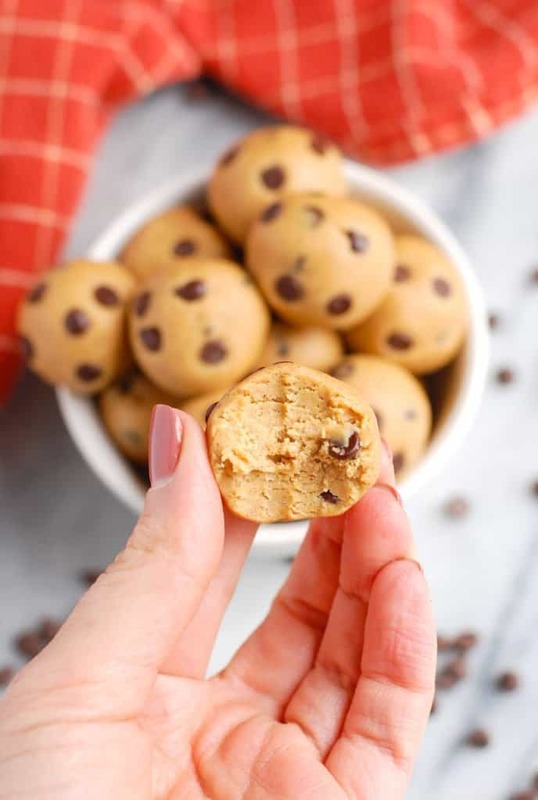 YUM – I want to make but I don’t see choc chips in the recipe – how much did you use? Hey I want to try and make these! So do you chill the mixture in the fridge before rolling into balls? Hey Alex! Yes, that is correct. Let the dough chill for easier handling. Hope you enjoy them! These look so good! I rarely buy coconut oil though. 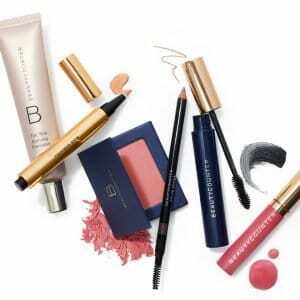 Is there an alternative you would recommend? You could use any other oil, or leave it out! If you leave it out, add in a little bit more nut butter. I haven’t but I think almond or all purpose or cassava would work great here! Just may need to adjust ratios. What would a good substitute for honey be? Would agave work? These look so good, are these ok for someone who is lactose free? I’ve only recently found out I’m lactose free so still getting to grips with what I can and can’t have. Yes! They are completely lactose free!!!! Good luck to you! These look so good! Does the nut butter taste come through much? if you use peanut, yes! Any other not as much!